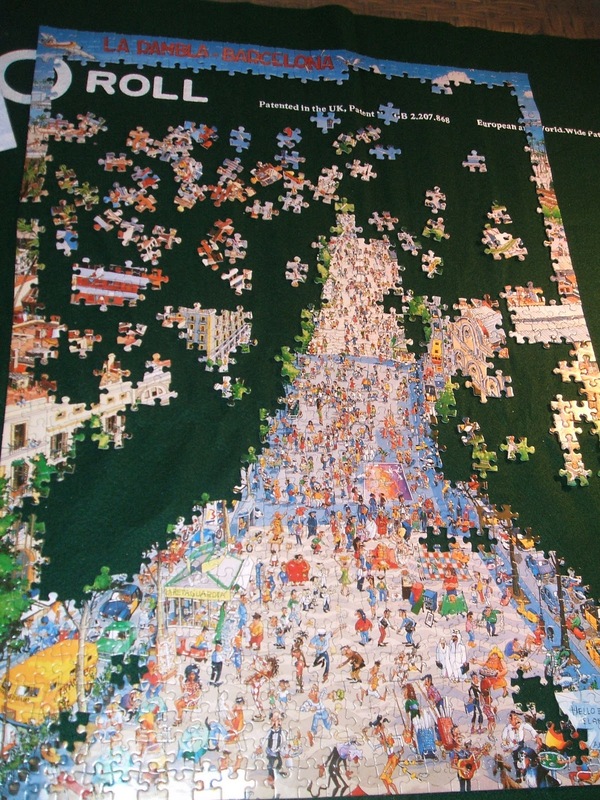 Over this August bank holiday weekend I have been indulging in something I haven’t done for a while – a jigsaw puzzle. I always used to do these as a kid on holidays so there’s something about doing this that’s intrinsically linked to holidays for me. The border is done (I always do the border first) and centre strip (with lots of interesting bits) is well on the way! Fuelled by chocolate and other snack-ettes I have built my 1000 piece world piece by piece and am currently basking in a quiet glow of self-indulgent achievement – like I have achieved something just for myself without the pressure of chores and other ‘things to do’. Now I just have to keep that feeling all through tomorrow and that will be one excellent long weekend! 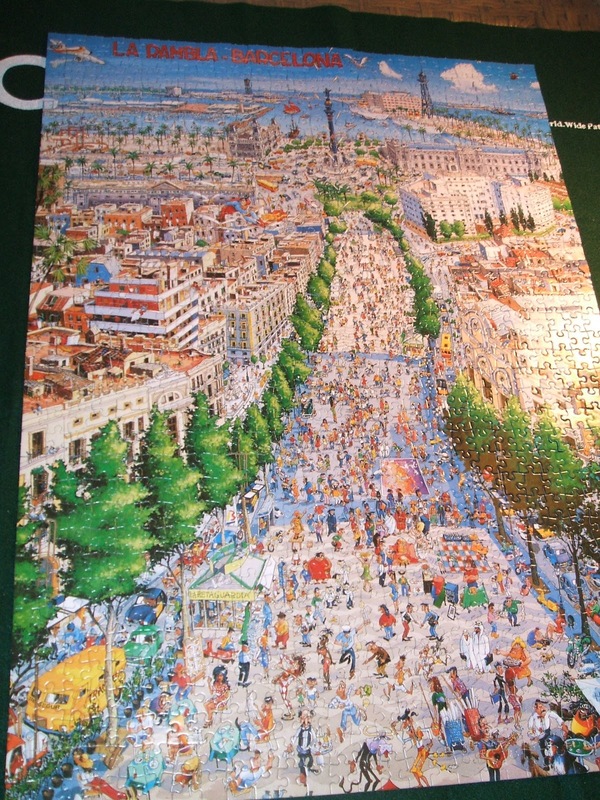 This entry was posted in Life in the UK and tagged Bank Holiday, jigsaw puzzles, Life in the UK by Kym Hamer. Bookmark the permalink.